Discussion in 'Introductions' started by Maternity Forum, Oct 31, 2016. 1. Please try and mention where you're from in your post. It helps our members to network with one another. 2. In making your introduction, tell us a bit about yourself. 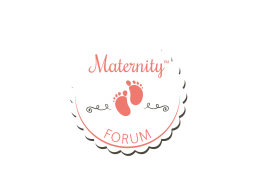 Things that you might want to share include: your name, your background, where you're from, how many kiddos you have, the age of your kiddos, and how you came to join Maternity Forum. 3. Fill out your complete profile. This is very important, and gives members more information to go with your posts. 4. Once you've introduced yourself, please check back with your post. Our members go out of their way to welcome you to the site, ask you questions, etc. The forum loses steam when new members get a great welcome, but never come back to follow up with the questions/comments posed to them by others. 5. Reciprocate and welcome other new members to the site. Not only is this a great way to start networking, but it helps new members feel welcome. 6. Please do not use your introduction as a sales pitch! We do not allow sales pitches or spam whatsoever. Please keep it focused on all things Maternity. 7. Don't just stop engaging after introducing yourself. Have fun, ask questions, network, and learn!! Those members who are active -- both newbie and experienced -- tend to have the most enjoyment and create amazing connections with other members. Mother of 3 here from Milwaukee! The name is Carla. So excited to be here and will surely start sharing insights on my pregnancy, looking forward to hearing from the rest of the people in maternityforum. Hopefully this will get the ball rolling and be able to get to know the expectant mothers from all over. Hi Carla! Like you, I am very excited to be here and engage with other women in their motherhood journey! It's been quite a ride, being pregnant, but I bet having other expectant moms cheering you on and you doing the same makes the experience even better! waybeyondfedup and JennyCannes like this. Hey guys! Wonderful to meet fellow women who are so eager about motherhood, I just got married and yes, of course will get there eventually. But me and my husband are taking our sweet time, so before that time happens I will just be focused on learning the ropes from you guys and hopefully be able to provide additional support as well! That's a good plan, since being prepared is the best approach to pregnancy! Hi! I'm so happy to have stumbled upon this thread. Being pregnant is the most intense and exhausting and amazing experience ever. I hope to find fellow mothers and mothers-to-be here who can help me get some peace of mind once in a while. Doctors are good for the biological stuff but I did not expect to have so much emotional things going on as well. See ya around! We will be here for you, definitely! This is going to be a little habit, similar to what happens when the husbands are away with the kids. I could use some of those right now with three boys and all. I am going to take your word for it. I mean even though I don't have kids yet, I am an aunt to 3 girls and 2 boys! They are a handful! I know I want to have kids, but I may settle for just 2 depends on what hubby and I agree upon. Well it is really normal, especially when the get to be toddlers. Oh the energy spikes and crazy days you will encounter! Good luck, and enjoy your journey Mine's crazy, but fun! I'm sure yours will be too. Hi everyone! Alex here, a proud mother of two. Well actually soon to be 3, I'm preganant with my 3rd child ☺️ My first two kids are girls, I'm hoping my third would be a boy (haven't had an ultrasound yet). It's so nice to have this forum for moms experiencing the same things I am. Cheers to us all! This is such a wonderful and welcoming community, and I'm glad to be a part of it. I hope to see everyone around the forums! Welcome to the forum, Alex! Congratulations on the latest addition to the family, I hope you are having a good pregnancy so far.